Whether a new user of an experienced Autodesk® Revit® pro, training is always useful to have on hand. 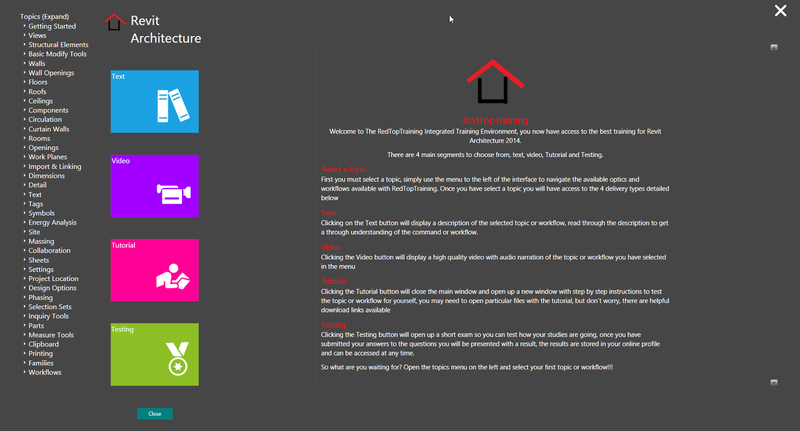 The Integrated Training Environment from RedTopTraining provides User Training and Workflow Training Integrated directly into the Revit application giving you 24/7 professional support. 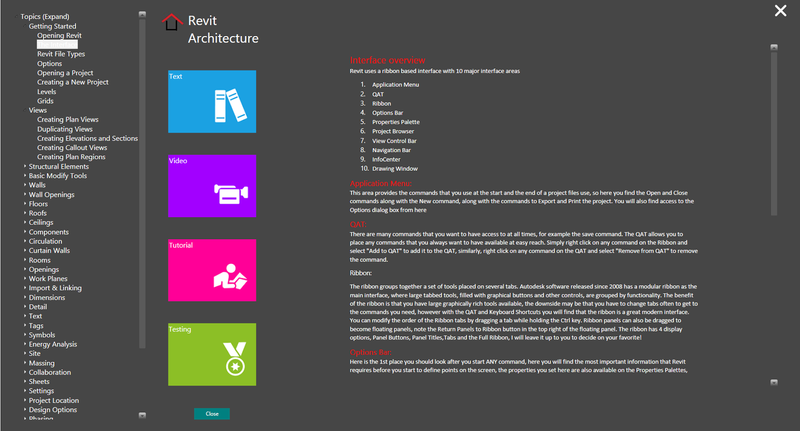 Featuring detailed explanations, video's tutorials and self-testing features you will be able to learn any of the features of Revit Architecture 2014. Its scalable deployment means that content is constantly being added and updated. This trial version of the product gives you limited access to the Integrated Training Environment, allowing you to try out content including Getting Started and Basic Modify Tools. This will allow you to see how easy and complete the Environment is prior to paying for the product. Created by an Autodesk Certified Instructor (ACI) as an addin to Revit it is available 24/7 and offers a variety of delivery methods to best suit each and every user. Companies can also choose to deploy their own training content via the RedTopTraining Integrated Training Environment with secure cloud hosting of all content. 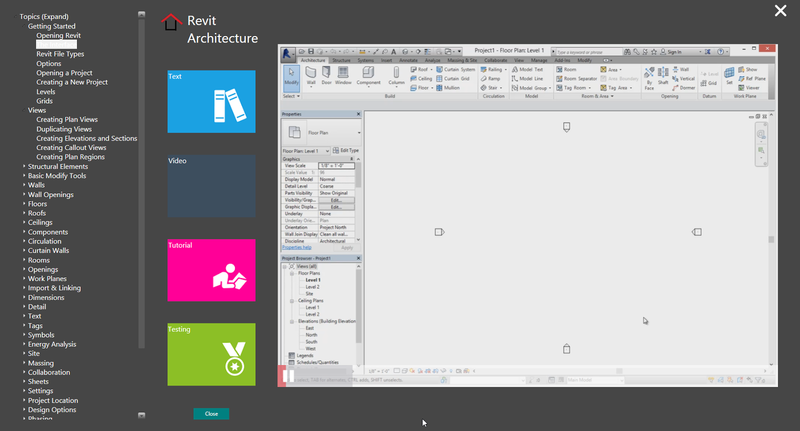 Works with Autodesk® Revit® 2014 and Autodesk® Revit® 2015.